Fulton Mall, Brooklyn Museum, Prospect Park, BAM, Metro Tech Commons, Downtown Brooklyn and DUMBO. Celebrate your style at Aloft New York Brooklyn, just minutes from the Brooklyn Academy of Music, Propsect Park and the Brooklyn Botanic Gardens. Scale the scenic Brooklyn Bridge for unforgettable views as you zip toward the hustle and bustle of downtown Manhattan. Breeze into one of our Aloft rooms featuring our ultra-comfortale signature bed, an oversize showerhead, custom amenities by Bliss Spa and more. Our plug & play connectivity station charges all your electronics and links to the 42" LCD TV to maximize work and play. Grab something from re:fuel by Aloft and go create your own adventure. Enjoy a post-tour cocktail at w xyz bar or cross over the Brooklyn Bridge and take an afternoon drive. See why everyone's all abuzz about Aloft and discover a whole new travel experience. On group blocks: 90 days from first arrival dates of group block to avoid cancellation penalties. We accept dogs under 50lbs. A dog waiver must be signed at check-in.Guest will get the arf package, that includes dog bed, treat and 2 bowls. 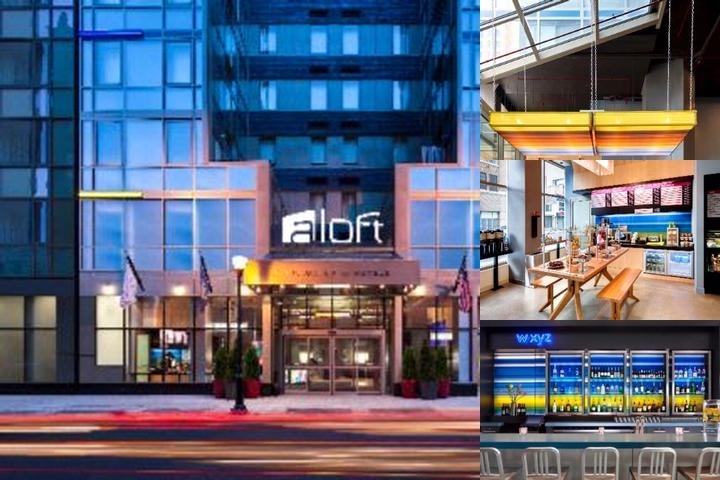 Below are the meeting, banquet, conference and event spaces at Aloft Brooklyn Hotel. Feel free to use the Aloft Brooklyn Hotel meeting space capacities chart below to help in your event planning. Hotel Planner specializes in Brooklyn event planning for sleeping rooms and meeting space for corporate events, weddings, parties, conventions, negotiated rates and trade shows. Surrounded by the excitement of New York City, we're conveniently located in Downtown Brooklyn, minutes from all major airports and public transportation. Everything you need is right outside our doors, from great shopping to fabulous restaurants, local museums to unique destinations like Coney Island and BAM.Our flexible meeting space accommodates theatre, classroom, u-shaped and many more configurations along with cutting-edge A/V equipment and free WiFi. Plus when you stay, enjoy a playful place or quiet space in re:mix lounge, clink some drinks in w xyz bar, stay fit 24/7 in re:charge, and so much more. 25 x 16 x 11 Ft.
20 x 17 x 9 Ft.